At Anchorage Bariatrics, we know that drastic diets and depriving yourself of all your favorite foods is a recipe for failure. With this in mind, our program incorporates New Directions engineered meal supplements that are ketogenic, or fat burning, with traditional grocery foods. This diet, when combined with increased exercise and activity, can help you lose two to four pounds per week. Whether you want to lose weight before a surgery, instead of surgery, after surgery, or you just want to take control of your weight, this is a great option! During the plan, you will be required to attend a weekly nutrition class. We have several options available throughout the week for your convenience. 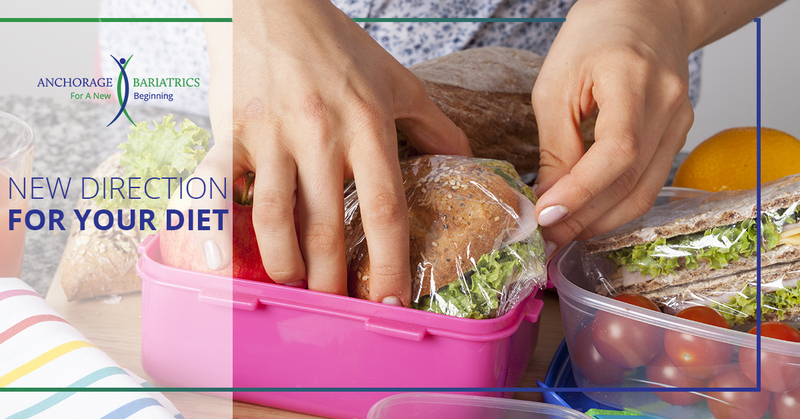 Our Registered Dietitian, Erika VanCalcar, will lead the class and cover various topics including nutrition, behavior modification, and physical activity. You will also plan out your next week’s food. Planks are a perfect core exercise that you can do any time, anywhere. Building a strong core is essential to good general health, reducing back problems and maintaining good posture. Start with a modified chair plank – stand with feet together about 18-24 inches behind the back of a sturdy chair. Place your hands on the top of the chair and tilt forward, keeping your back straight, core tight (pull your belly button towards your spine) with feet flat on the floor. Bend from your elbows to deepen the angle. You can also do this up against a wall. As you get stronger, increase the angle with the ultimate goal of having your forearms on the ground just under your shoulders, as pictured above. Hold for 20 seconds at first, then gradually increase the length of time and angle as you get stronger. 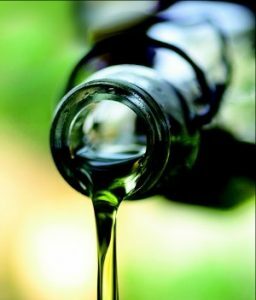 Extra-Virgin Olive Oil: Olive oil is a building block of the heart-healthy Mediterranean diet; high in monounsaturated fats, it helps lower cholesterol. Because extra-virgin versions aren’t overly refined, they maintain more antioxidants, not to mention vitamin E and oleocanthal, which can reduce inflammation. A little goes a long way, so use sparingly to saute.